Wendell Anderson was born in Saint Paul, Minnesota in 1933. He attended Saint Paul’s Johnson High School and the University of Minnesota, where he received a B.A. in 1954. 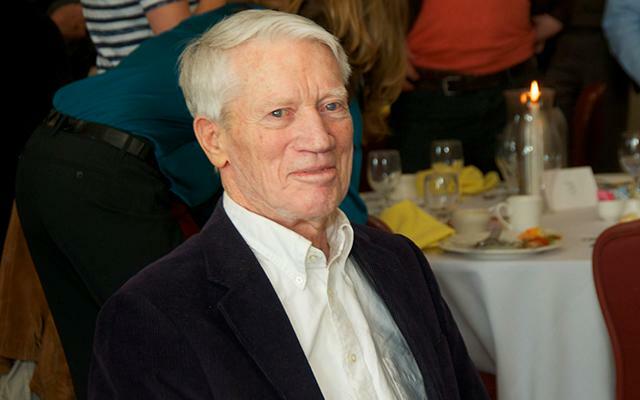 He served in the United States Army in 1956-57 and earned a law degree from the University of Minnesota Law School in 1960. 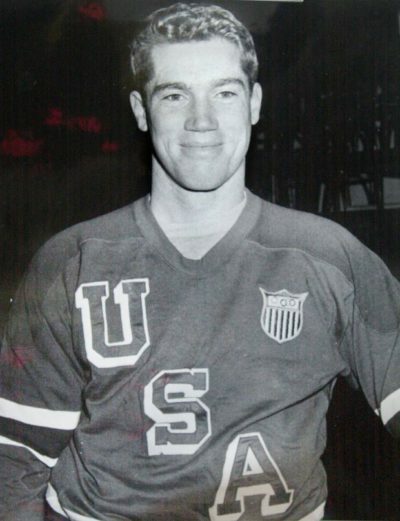 Wendell Anderson played defense for the University of Minnesota from 1951 to 1954, and was a member of the U.S. hockey team that won a silver medal at the 1956 Winter Olympics. Long after his on-ice career ended, he was drafted by the Minnesota Fighting Saints in the inaugural World Hockey Association draft of 1972, in what was seen as a publicity stunt. (Not to be outdone, another WHA team selected Soviet Premier Alexei Kosygin.) While flattered, Anderson chose to remain governor. Anderson served in the Minnesota House of Representatives from 1959 to 1962 and in the Minnesota State Senate from 1963 to 1970. 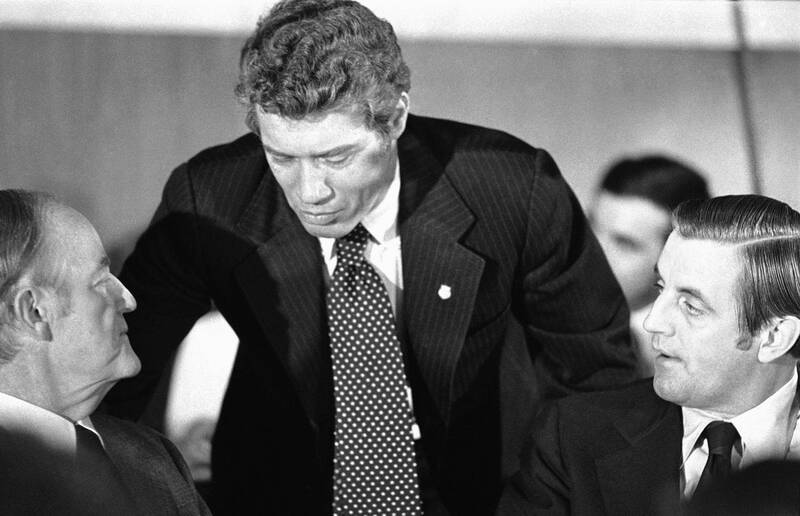 His signature accomplishment as governor was helping to create the “Minnesota Miracle of 1971,” an innovative reform in financing of Minnesota public schools and local governments that created a fairer distribution in taxation and education. For his efforts, Anderson was featured on a 1973 cover of Time magazine. After U.S. Senator Walter Mondale was elected vice president in 1976, the governor needed to appoint Mondale’s successor. Anderson agreed with his lieutenant governor, Rudy Perpich, that Anderson would resign as governor, and Perpich, as the new governor, would appoint Anderson senator. In what became known as the “Minnesota Massacre”, nearly the entire DFL Party ticket was defeated in 1978, including Perpich and the candidates for both U.S. Senate seats, Anderson and Bob Short. Anderson’s arrangement to have himself appointed to the Senate—and Perpich’s role in that appointment—were deemed central factors in the defeats. From 1995 to 2001, Anderson served as a director for and head of the legal committee of Turbodyne Technologies Inc. (TRBD) in Carpinteria, California. In his later years, he was regularly called upon to act as a commentator on Minnesota politics for local stations, such as KSTP-TV. Wendell Anderson married Mary Christine McKee of Bemidji, Minnesota, in 1963. They had three children: Amy, Elizabeth, and Brett. In 1975, Anderson was honored by two of the Swedish District lodges of the Vasa Order of America and selected as Swedish-American of the Year. He died on July 17, 2016, of complications of Alzheimer’s disease.